Product #20781 | SKU DAD4099-BC | 0.0 (no ratings yet) Thanks for your rating! 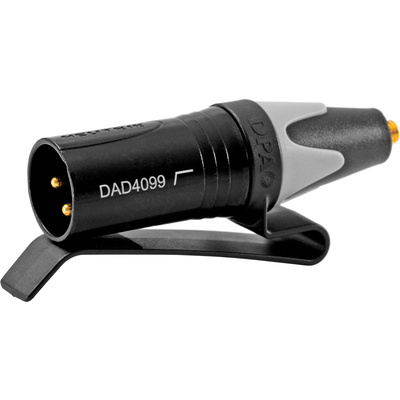 Provides a balanced output signal for DPA 4099 Instrument microphone. The DAD4099-BC Micro-Dot to XLR with Belt Clip and Low Cut filter by DPA Microphones features an 80 Hz low-cut roll-off filter and provides a balanced output signal for the DPA 4099 Instrument microphone. A belt clip is included.